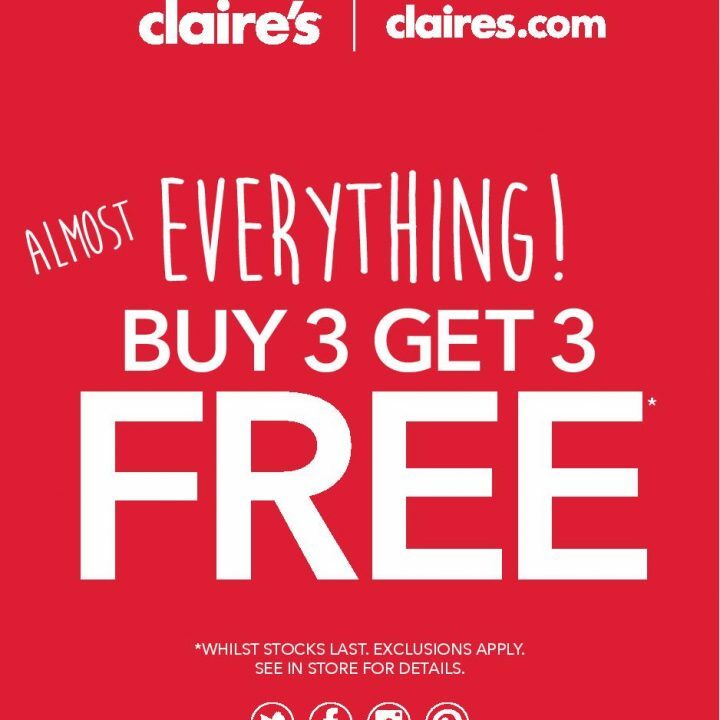 Almost everything buy 3 get 3 free at Claire’s. Whilst stocks last. Exclusions apply.